The first impressions weren’t great. 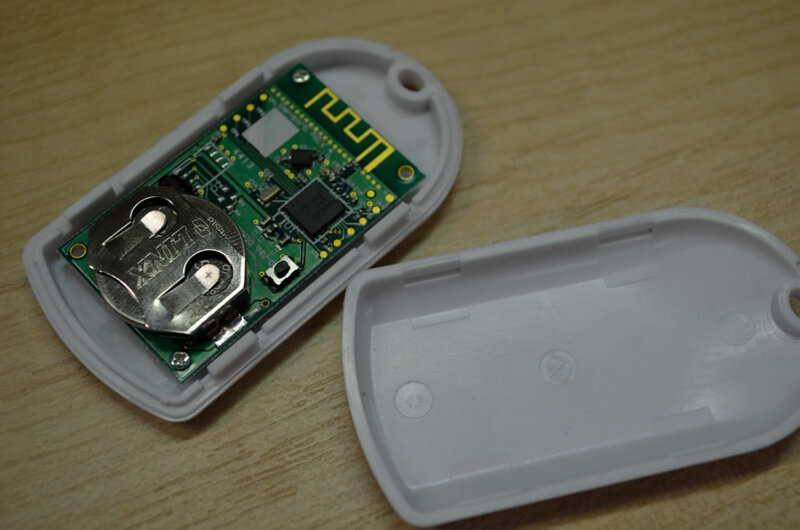 It took 6 weeks to receive our three Roximity beacons after placing the order, and we needed to pay an additional £13.50 ($20) in customs duty and post office charges in order to get them released form the post office. Opening the package was another disappointment. No paperwork, compliments slip, instructions – just an anti-static bag containing the rather cheap-looking beacons themselves, that don’t look anything like the pictures on the website. 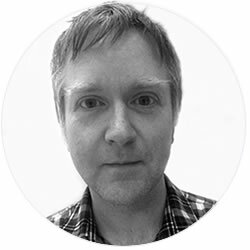 After the effort Estimote are going to with their design and packaging, as well as the personal note from the founder, this felt a touch surprising. One of the reasons for trying the Roximity beacons is that I thought they looked really clean and professional, and would appeal to museums and galleries. The picture on the left above is the image of a Roximity beacon on their website. The one on the right is what we received. The beacons were very easy to open. Much easier than Estimote, which makes it a breeze to replace the battery. There is a little button on the circuit board but we couldn’t establish what this does. The Roximity dashboard is used to set up the beacons and the applications that can access them. Our three beacons were already listed on the dashboard. Each beacon can be given a name, and you need to add any app that is allowed to access that beacon. This includes Roximity’s Beacon Explorer app. If you want to allow any other applications to access the beacons you need to add them to the list via the dashboard. Each application is given an application ID which then needs to be configured into the app itself. 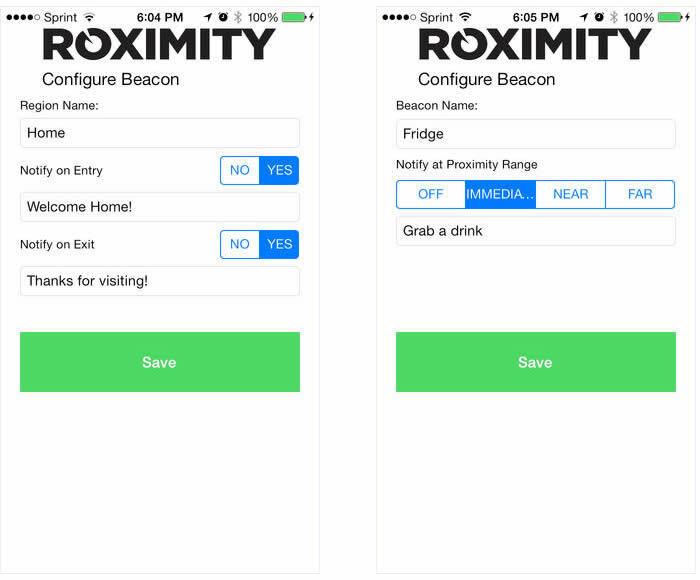 In order to run any type of application with Roximity beacons you need to create an Application ID (a key) for the app which must be configured into any apps you use with the beacons. This is done through the Roximity dashboard. The Application ID is verified against the Roximity server which authorises use of the Roximity SDK. We downloaded the Roximity Beacon Explorer App and configured it with the Application ID that we had set up through the Roximity dashboard. Despite waiting for several minutes the app could not detect the beacons. Strangely though, on the Roximity dashboard the map was now displaying the beacons on the map. Very briefly the app was able to detect the beacons, then stopped. We took out the batteries from each beacon and after putting them back in the app was successfully able to detect the beacons. Using the Roximity SDK files we were able to build our own app. This allowed us to retrieve the beacon id, name and proximity (immediate,near and far). This wasn’t great news for us because we were hoping to be able to access the RSSI (Received Signal Strength Indication) which we would then be able to use to determine which beacon is closest. We have previously built some test apps using the Estimote SDK. We wanted to be able to see if we could use those apps with the Roximity beacons. We needed the Roximity UUID to be able to do this. It appears that this is the same across all Roximity beacons – 8DEEFBB9-F738-4297-8040-96668BB44281 (see this blog post on stack overflow). Plugging the UUID into our app did allow us to detect the Roximity beacons using the Estimote SDK. The RSSI values we were detecting were significantly higher than for the Estimote beacons. Typically we were seeing RSSIs of around -40dB for distances that were around -80dB for the Estimote beacons. We weren’t able to change the power setting of the Rxomity beacons. This is a bit worrying – the higher power output must drain the battery more quickly than the Estimotes. Again we had recurring problems with the Roximity beacons dying. We needed to remove and reinsert the batteries to get them working again. This has been a problem with all three of the beacons. The Roximity beacons looked cheap. This certainly isn’t going to help us impress potential clients. For museums and galleries one of the first questions being asked is ‘what do the beacons look like?’. We weren’t able to find the RSSI (Received Signal Strength Indication) using the Roximity SDK, but we were able to find it using the Estimote SDK. Perhaps this doesn’t matter. The greatest concern is that the beacons kept failing, and needed the battery reinserting to come back to life. This is obviously going to be a real problem when deployed.